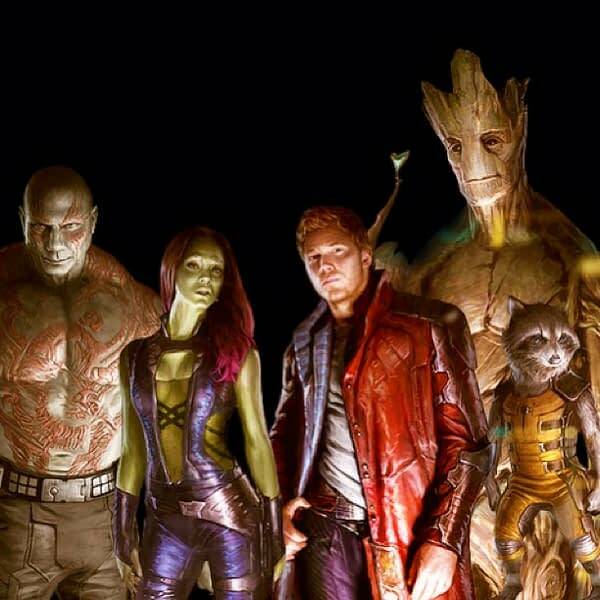 Cutting and pasting elements of previously seen concept art, here’s a group shot of The Guardians of the Galaxy, courtesy of director James Gunn‘s Instagram. The sign off line in the Comic-Con trailer is brilliant, and has never been more appropriate. Peter Serafinowicz is standing behind John C. Reilly who appears to be processing the whole lot of “Guardians” for arrest in some kind of Nova precinct. We’re now under a year from the release of The Guardians of the Galaxy.